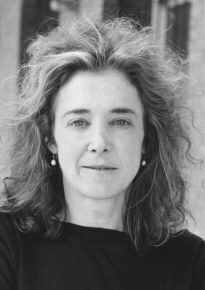 Join the Columbia Land Conservancy, in celebrating International Women’s Day with local Author Andrea Barnet, as she reads from her new book Visionary Women. Visionary Women: How Rachel Carson, Jane Jacobs, Jane Goodall, and Alice Waters Changed Our World (Ecco; On-sale March 13, 2018) is the story of four renegades who profoundly shaped the world we live in today. Together these women—linked not by friendship or field, but by their choice to break with convention—showed what one person speaking truth to power can do. COST: Free to attend. A portion of the proceeds of the sale of the book will go to the CLC. 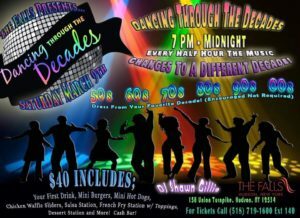 Dance the night away to your favorite decade. Dance will always have a major impact on history and the future. From the 1950s to the 2000s, music will forever be a way people can express themselves from many different cultures. Every half hour, the music changes to a different decade. Dress from your favorite decade is encouraged, but not required. 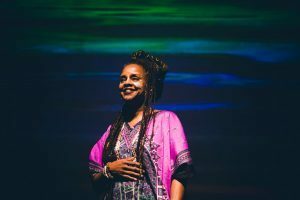 Pamela Badila, folkteller & performance artist, reads, tells and perform folktales from around the world with children and their families. This special story hour gives families the opportunity to explore stories, told through generations, that formed the traditions and ethics of particular cultures. Craft and music activities follow the folktelling. “Folktales & Stories” is geared towards children ages 6-11, however children of all ages are welcome. 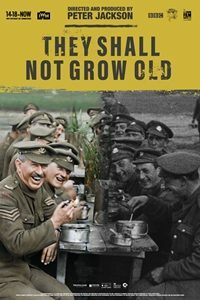 Peter Jackson directs this homage to the British troops of the First World War with never-before-seen footage of soldiers facing the fear and uncertainty of frontline battle in Belgium. Digitally remastered and now in color, the footage has been studied by lipreading experts whose transcripts were recorded and used as audio for the film. Friday, March 1 through Thursday, March 7, 2019: 5pm everyday. 3:00pm on Saturday, March 2 and Sunday, March 3. 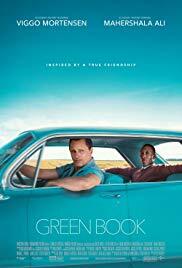 When a bouncer from an Italian-American neighborhood in the Bronx, is hired to drive a world-class Black pianist, on a concert tour from Manhattan to the Deep South, they must rely on “The Green Book” to guide them to the few establishments that were then safe for African-Americans. The Columbia County Soil and Water Conservation District (www.ccswcd.org) presents an animal tracking hike on Saturday (March 2, 2019). Hikers will look for signs of wildlife and learn about the natural history of local animals. The program begins at a brief instructional talk by Pamela Price, Certified Wildlife Biologist and Education Program Coordinator. Afterward, head out to the trail to use your new knowledge to spot tracks and traces left by rabbits, foxes, deer, and perhaps even a bobcat. The hike is a snow or no snow event! This event is free, however, registration is requested so please call Pamela Price at 518-267-3313. 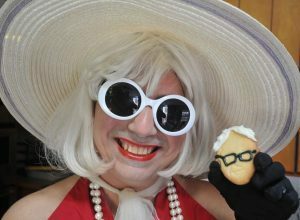 The Hudson Area Library in collaboration with Out Hudson presents Drag Queen Story Time with Trixie Starr, Saturday, March 2. Drag Queen Story Time is a family-friendly and inclusive event. Striving to celebrate differences, breaking down barriers and of course dressing up! There will also be a drag treasure chest with costumes for kids and complimentary cookies from Trixie’s Oven. Free and open to the public. Kids (ages birth to 7), and families are welcome. To register, email ‘youth@hudsonarealibrary.org’ or call 518-828-1792. The Friends of Hudson Youth proudly announce the 2nd Annual Hudson Polar Plunge! All proceeds directly benefit two incredible community services: the City of Hudson Fire Department Water Rescue & Dive Team and the Hudson Youth Department! Jump in the icy cold invigorating water. (A plunge is defined as a “quick submersion,” and safety personnel will be onsite). The plunge takes place at Oakdale Lake in Hudson. Mandatory check-in at the Beach House for all registrants starts at 11am, and every plunger will be required to sign a waiver. Plunging begins in small group waves starting at noon. Please dress for the weather! Participants can leave a bag of clothes/possessions tagged with their name in the Beach House and changing rooms are available post-plunge. Immediately after the Polar Plunge, warm up at the Great Chili Cook-Off at the Central Fire Station at 77 N. 7th Street. If you’d like to bring a big pot of your prize-winning and soul-satisfying chili to the Cook-Off, email tamar.e.adler@gmail.com for details. $25: Register as either an Individual or a Team for $25 per person. Concerts in the Village presents ‘Beauty! Texture! Emotion – 1840 to 1940’. This will be a performance of 19th-20th c. music for Orchestra and for Voices with Orchestra. Including Vocal and Orchestral Music from France – Berlioz, Duparc, Chausson, Debussy, Canteloube, Ravel, and Milhaud.